In the First Word War military submarines made a significant impact for the first time. The German U-Boats enjoyed a great deal of success and were responsible for destroying around half of all the food and supplies transported by the British Merchant Navy. U- Boat is an abbreviation of ‘unterseeboot’, which when translated into English means ‘undersea boat’. When the First World War began the German armed forces had 29 U-Boats at their disposal. 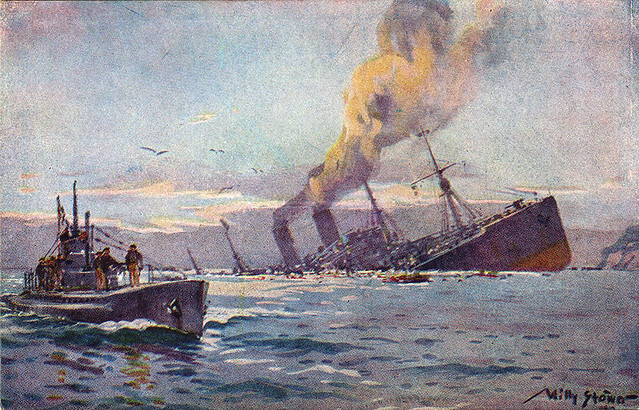 In the first 10 weeks of the conflict they sank five British cruisers.